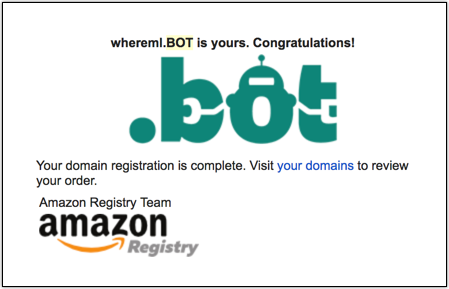 Today, I’m excited to announce the launch of .BOT, a new generic top-level domain (gTLD) from Amazon. 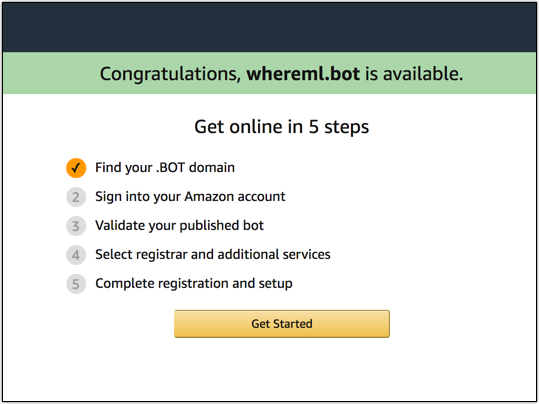 Customers can use .BOT domains to provide an identity and portal for their bots. 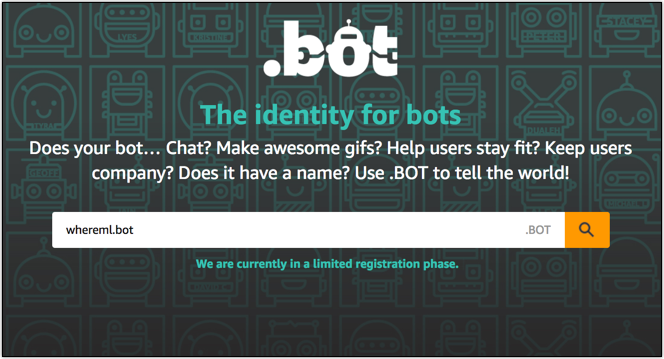 Fitness bots, slack bots, e-commerce bots, and more can all benefit from an easy-to-access .BOT domain. The phrase “bot” was the 4th most registered domain keyword within the .COM TLD in 2016 with more than 6000 domains per month. A .BOT domain allows customers to provide a definitive internet identity for their bots as well as enhancing SEO performance. 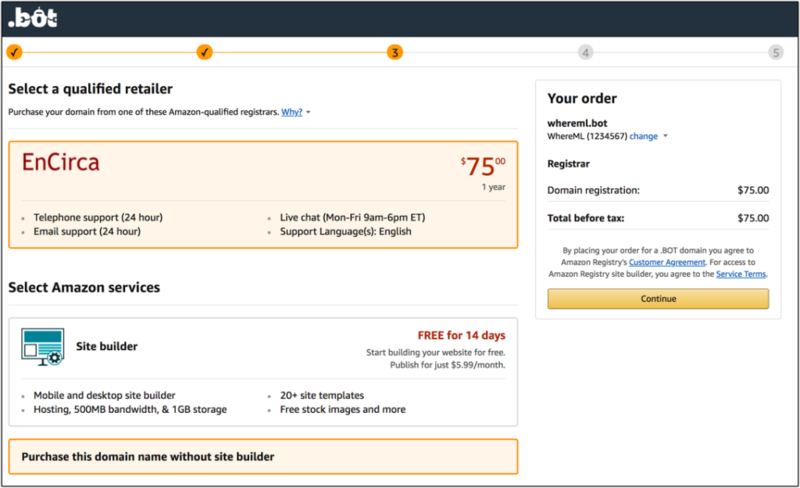 At the time of this writing .BOT domains start at $75 each and must be verified and published with a supported tool like: Amazon Lex, Botkit Studio, Dialogflow, Gupshup, Microsoft Bot Framework, or Pandorabots. You can expect support for more tools over time and if your favorite bot framework isn’t supported feel free to contact us here: [email protected]. I could create a cloudfront distrobution to front an S3 static single page application to host my entire chatbot and invoke Amazon Lex with a cognito identity right from the browser. Update from March 27, 2018: On March 27, 2018, we updated ACM APIs so that you can disable Certificate Transparency logging on a per-certificate basis. Starting April 30, 2018, Google Chrome will require all publicly trusted certificates issued after this date to be logged in at least two Certificate Transparency logs. This means that any certificate issued that is not logged will result in an error message in Google Chrome. 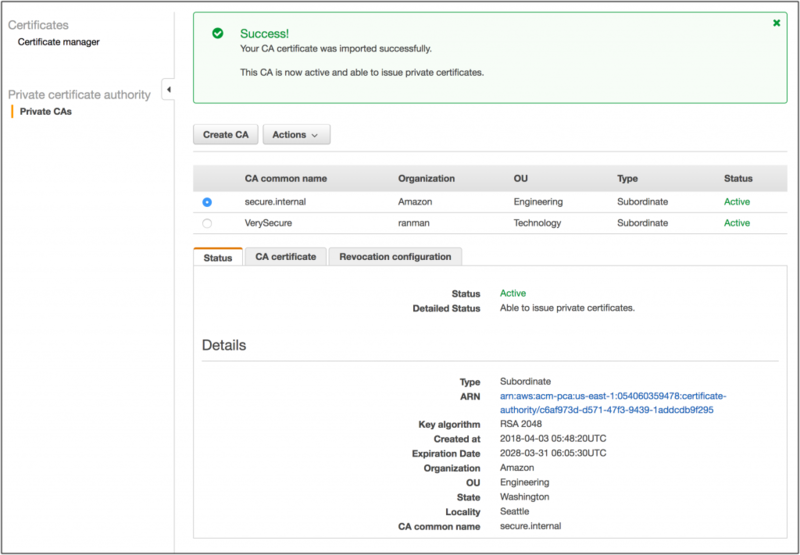 Beginning April 24, 2018, Amazon will log all new and renewed certificates in at least two public logs unless you disable Certificate Transparency logging. Without Certificate Transparency, it can be difficult for a domain owner to know if an unexpected certificate was issued for their domain. Under the current system, no record is kept of certificates being issued, and domain owners do not have a reliable way to identify rogue certificates. To address this situation, Certificate Transparency creates a cryptographically secure log of each certificate issued. Domain owners can search the log to identify unexpected certificates, whether issued by mistake or malice. Domain owners can also identify Certificate Authorities (CAs) that are improperly issuing certificates. In this blog post, I explain more about Certificate Transparency and tell you how to prepare for it. How does Certificate Transparency work? 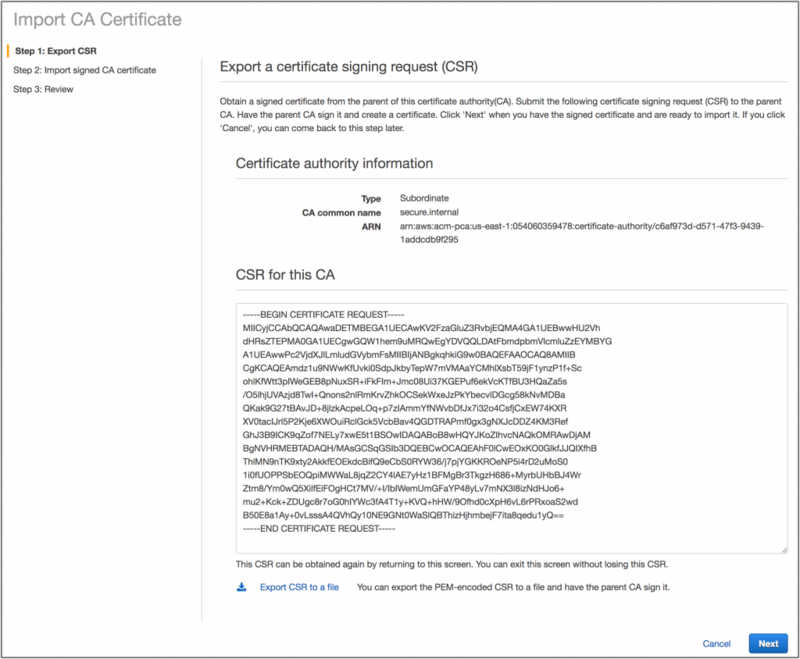 When a CA issues a publicly trusted certificate, the CA must submit the certificate to one or more Certificate Transparency log servers. The Certificate Transparency log server responds with a signed certificate timestamp (SCT) that confirms the log server will add the certificate to the list of known certificates. The SCT is then embedded in the certificate and delivered automatically to a browser. The SCT is like a receipt that proves the certificate was published into the Certificate Transparency log. Starting April 30, Google Chrome will require an SCT as proof that the certificate was published to a Certificate Transparency log in order to trust the certificate without displaying an error message. What is Amazon doing to support Certificate Transparency? Certificate Transparency is a good practice. 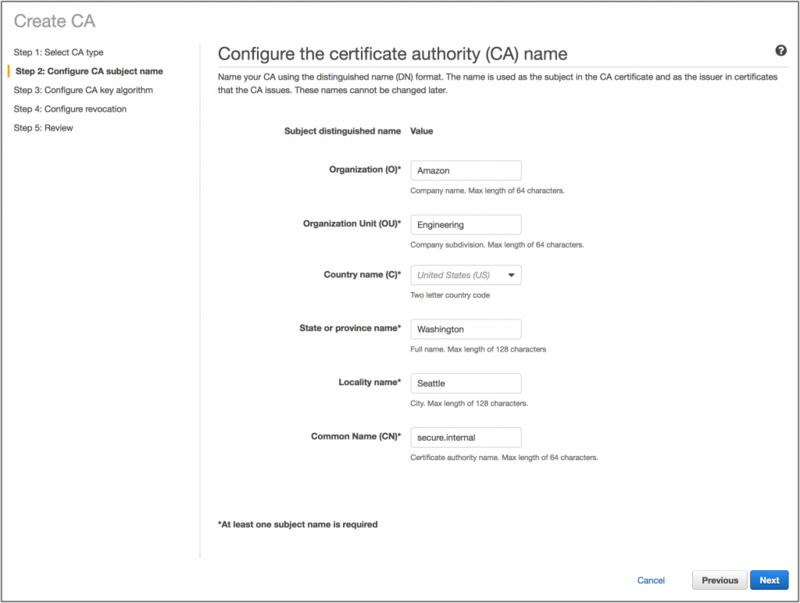 It enables AWS customers to be more confident that an unauthorized certificate hasn’t been issued by a CA. Beginning on April 24, 2018, Amazon will log all new and renewed certificates in at least two Certificate Transparency logs unless you disable Certificate Transparency logging. We recognize that there can be times when our customers do not want to log certificates. For example, if you are building a website for an unreleased product and have registered the subdomain, newproduct.example.com, requesting a logged certificate for your domain will make it publicly known that the new product is coming. Certificate Transparency logging also can expose server hostnames that you want to keep private. 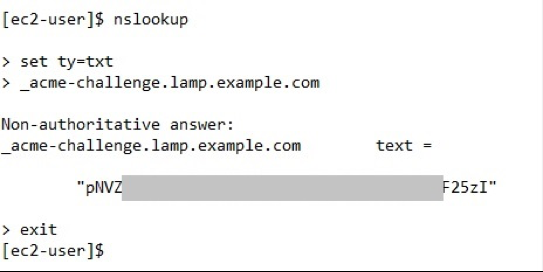 Hostnames such as payments.example.com can reveal the purpose of a server and provide attackers with information about your private network. These logs do not contain the private key for your certificate. For these reasons, on March 27, 2018 we updated ACM APIs so that you can disable Certificate Transparency logging on a per-certificate basis using the ACM APIs or with the AWS CLI. Doing so will lead to errors in Google Chrome, which may be preferable to exposing the information. Please refer to ACM documentation for specifics on how to opt out of Certificate Transparency logging. 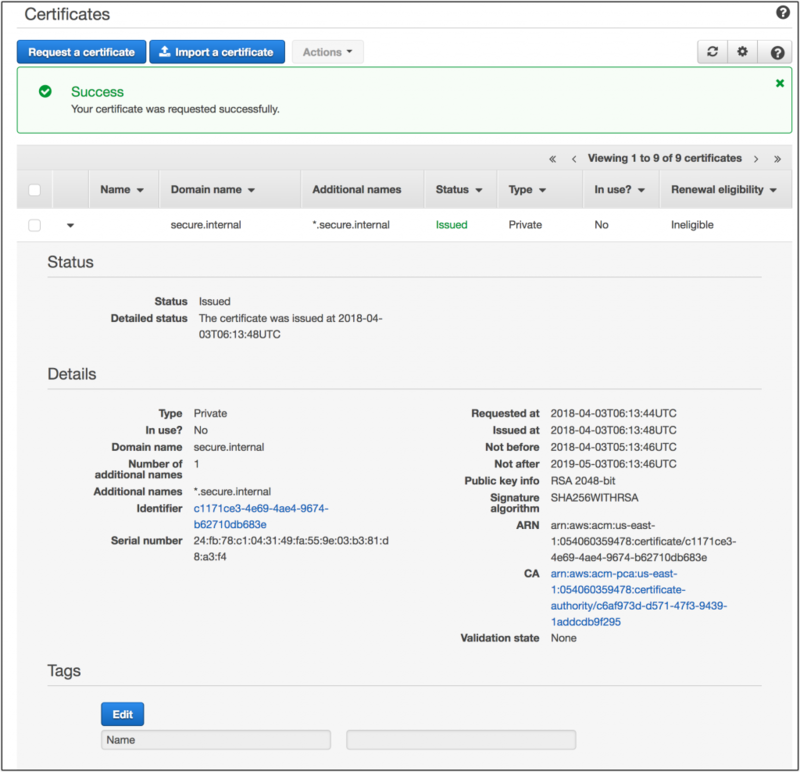 Beginning April 24, 2018, ACM will begin logging all new and renewed certificates by default. If you don’t want a certificate to be logged, you’ll be able to opt out using the AWS API or CLI. However, for Google Chrome to trust the certificate, all issued or imported certificates must have the SCT information embedded in them by April 30, 2018. If you have comments about this blog post, submit them in the “Comments” section below. If you have questions, start a new thread in the ACM forum. “Don’t get me wrong—containers are delightful! But let’s be real: we’re unlikely to solve the vast majority of problems in a given organization via the judicious application of kernel features. If you have contention between your ops team and your dev team(s)—and maybe they’re all facing off with some ill-considered DevOps silo inexplicably stuck between them—then cgroups and namespaces won’t have a prayer of solving that. This post first appeared here on the Apache Software Foundation blog as part of ASF’s “Success at Apache” monthly blog series. As I sit at my desk on a rather frosty morning with my coffee, looking up new JIRAs from the previous day in the Apache Tez project, I feel rather pleased. The latest community release vote is complete, the bug fixes that we so badly needed are in and the new release that we tested out internally on our many thousand strong cluster is looking good. Today I am looking at a new stack trace from a different Apache project process and it is hard to miss how much of the exceptional code I get to look at every day comes from people all around the globe. A contributor leaves a JIRA comment before he goes on to pick up his kid from soccer practice while someone else wakes up to find that her effort on a bug fix for the past two months has finally come to fruition through a binding +1. Yahoo – which joined AOL, HuffPost, Tumblr, Engadget, and many more brands to form the Verizon subsidiary Oath last year – has been at the frontier of open source adoption and contribution since before I was in high school. So while I have no historical trajectories to share, I do have a story on how I found myself in an epic journey of migrating all of Yahoo jobs from Apache MapReduce to Apache Tez, a then-new DAG based execution engine. Oath grid infrastructure is through and through driven by Apache technologies be it storage through HDFS, resource management through YARN, job execution frameworks with Tez and user interface engines such as Hive, Hue, Pig, Sqoop, Spark, Storm. Our grid solution is specifically tailored to Oath’s business-critical data pipeline needs using the polymorphic technologies hosted, developed and maintained by the Apache community. On the third day of my job at Yahoo in 2015, I received a YouTube link on An Introduction to Apache Tez. I watched it carefully trying to keep up with all the questions I had and recognized a few names from my academic readings of Yarn ACM papers. I continued to ramp up on YARN and HDFS, the foundational Apache technologies Oath heavily contributes to even today. For the first few weeks I spent time picking out my favorite (necessary) mailing lists to subscribe to and getting started on setting up on a pseudo-distributed Hadoop cluster. I continued to find my footing with newbie contributions and being ever more careful with whitespaces in my patches. One thing was clear – Tez was the next big thing for us. By the time I could truly call myself a contributor in the Hadoop community nearly 80-90% of the Yahoo jobs were now running with Tez. But just like hiking up the Grand Canyon, the last 20% is where all the pain was. Being a part of the solution to this challenge was a happy prospect and thankfully contributing to Tez became a goal in my next quarter. The next sprint planning meeting ended with me getting my first major Tez assignment – progress reporting. The progress reporting in Tez was non-existent – “Just needs an API fix,” I thought. Like almost all bugs in this ecosystem, it was not easy. How do you define progress? How is it different for different kinds of outputs in a graph? The questions were many. I, however, did not have to go far to get answers. The Tez community actively came to a newbie’s rescue, finding answers and posing important questions. I started attending the bi-weekly Tez community sync up calls and asking existing contributors and committers for course correction. Suddenly the team was much bigger, the goals much more chiseled. This was new to anyone like me who came from the networking industry, where the most open part of the code are the RFCs and the implementation details are often hidden. These meetings served as a clean room for our coding ideas and experiments. Ideas were shared, to the extent of which data structure we should pick and what a future user of Tez would take from it. In between the usual status updates and extensive knowledge transfers were made. Oath uses Apache Pig and Apache Hive extensively and most of the urgent requirements and requests came from Pig and Hive developers and users. Each issue led to a community JIRA and as we started running Tez at Oath scale, new feature ideas and bugs around performance and resource utilization materialized. 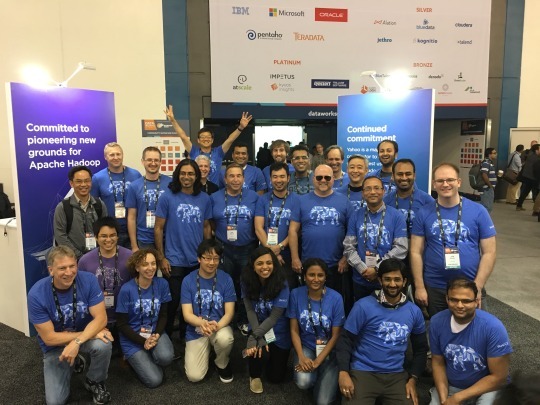 Every year most of the Hadoop team at Oath travels to the Hadoop Summit where we meet our cohorts from the Apache community and we stand for hours discussing the state of the art and what is next for the project. One such discussion set the course for the next year and a half for me. We needed an innovative way to shuffle data. Frameworks like MapReduce and Tez have a shuffle phase in their processing lifecycle wherein the data from upstream producers is made available to downstream consumers. Even though Apache Tez was designed with a feature set corresponding to optimization requirements in Pig and Hive, the Shuffle Handler Service was retrofitted from MapReduce at the time of the project’s inception. With several thousands of jobs on our clusters leveraging these features in Tez, the Shuffle Handler Service became a clear performance bottleneck. So as we stood talking about our experience with Tez with our friends from the community, we decided to implement a new Shuffle Handler for Tez. All the conversation points were tracked now through an umbrella JIRA TEZ-3334 and the to-do list was long. I picked a few JIRAs and as I started reading through I realized, this is all new code I get to contribute to and review. There might be a better way to put this, but to be honest it was just a lot of fun! All the whiteboards were full, the team took walks post lunch and discussed how to go about defining the API. Countless hours were spent debugging hangs while fetching data and looking at stack traces and Wireshark captures from our test runs. Six months in and we had the feature on our sandbox clusters. There were moments ranging from sheer frustration to absolute exhilaration with high fives as we continued to address review comments and fixing big and small issues with this evolving feature. As much as owning your code is valued everywhere in the software community, I would never go on to say “I did this!” In fact, “we did!” It is this strong sense of shared ownership and fluid team structure that makes the open source experience at Apache truly rewarding. This is just one example. A lot of the work that was done in Tez was leveraged by the Hive and Pig community and cross Apache product community interaction made the work ever more interesting and challenging. Triaging and fixing issues with the Tez rollout led us to hit a 100% migration score last year and we also rolled the Tez Shuffle Handler Service out to our research clusters. As of last year we have run around 100 million Tez DAGs with a total of 50 billion tasks over almost 38,000 nodes. In 2018 as I move on to explore Hadoop 3.0 as our future release, I hope that if someone outside the Apache community is reading this, it will inspire and intrigue them to contribute to a project of their choice. As an astronomy aficionado, going from a newbie Apache contributor to a newbie Apache committer was very much like looking through my telescope － it has endless possibilities and challenges you to be your best. Kuhu Shukla is a software engineer at Oath and did her Masters in Computer Science at North Carolina State University. She works on the Big Data Platforms team on Apache Tez, YARN and HDFS with a lot of talented Apache PMCs and Committers in Champaign, Illinois. A recent Apache Tez Committer herself she continues to contribute to YARN and HDFS and spoke at the 2017 Dataworks Hadoop Summit on “Tez Shuffle Handler: Shuffling At Scale With Apache Hadoop”. Prior to that she worked on Juniper Networks’ router and switch configuration APIs. She likes to participate in open source conferences and women in tech events. In her spare time she loves singing Indian classical and jazz, laughing, whale watching, hiking and peering through her Dobsonian telescope. Stuxnet famously used legitimate digital certificates to sign its malware. A research paper from last year found that the practice is much more common than previously thought. Now, researchers have presented proof that digitally signed malware is much more common than previously believed. What’s more, it predated Stuxnet, with the first known instance occurring in 2003. The researchers said they found 189 malware samples bearing valid digital signatures that were created using compromised certificates issued by recognized certificate authorities and used to sign legitimate software. In total, 109 of those abused certificates remain valid. The researchers, who presented their findings Wednesday at the ACM Conference on Computer and Communications Security, found another 136 malware samples signed by legitimate CA-issued certificates, although the signatures were malformed. The results are significant because digitally signed software is often able to bypass User Account Control and other Windows measures designed to prevent malicious code from being installed. Forged signatures also represent a significant breach of trust because certificates provide what’s supposed to be an unassailable assurance to end users that the software was developed by the company named in the certificate and hasn’t been modified by anyone else. The forgeries also allow malware to evade antivirus protections. Surprisingly, weaknesses in the majority of available AV programs prevented them from detecting known malware that was digitally signed even though the signatures weren’t valid. The following 20 pages were the most viewed AWS Identity and Access Management (IAM) documentation pages in 2017. I have included a brief description with each link to explain what each page covers. Use this list to see what other AWS customers have been viewing and perhaps to pique your own interest in a topic you’ve been meaning to learn about. Learn more about IAM, a web service that helps you securely control access to AWS resources for your users. 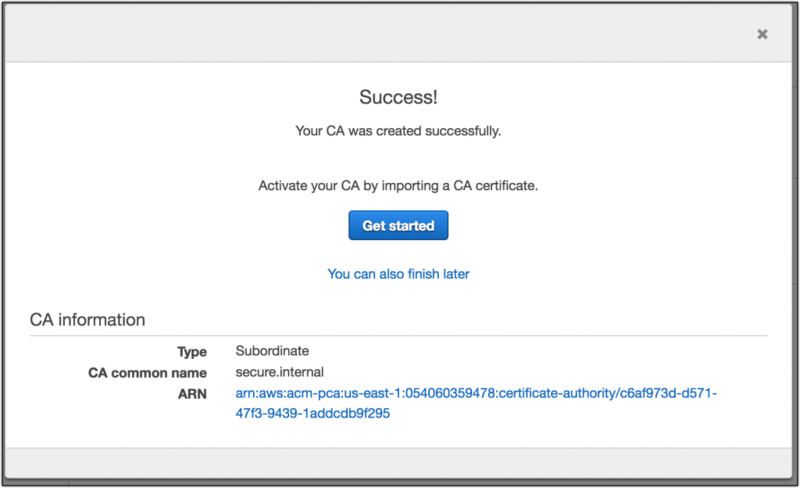 You use IAM to control who can use your AWS resources (authentication) and how they can use resources (authorization). 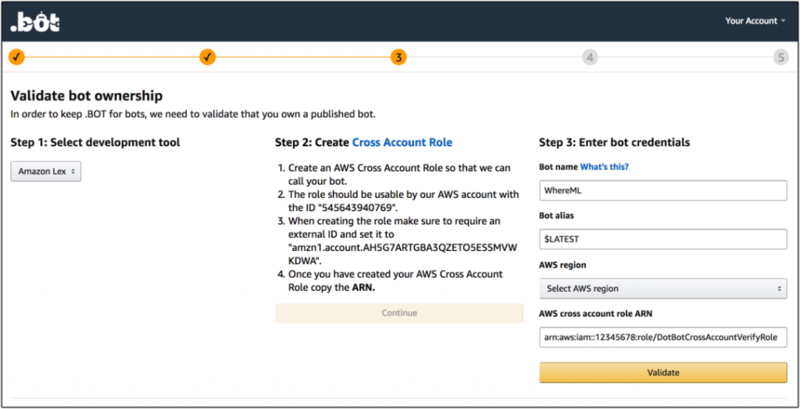 You can create one or more IAM users in your AWS account. You might create an IAM user when someone joins your organization, or when you have a new application that needs to make API calls to AWS. Users need their own access keys to make programmatic calls to AWS from the AWS Command Line Interface (AWS CLI), Tools for Windows PowerShell, the AWS SDKs, or direct HTTP calls using the APIs for individual AWS services. To fill this need, you can create, modify, view, or rotate access keys (access key IDs and secret access keys) for IAM users. Learn more about the elements that you can use when you create a JSON policy. View additional JSON policy examples and learn about conditions, supported data types, and how they are used in various services. To help secure your AWS resources, follow these best practices for IAM. Learn how to delegate access to specific IAM users who need to view or manage AWS Billing and Cost Management data for an AWS account. For an additional layer of security when signing in to your AWS account, AWS recommends that you configure MFA to help protect your AWS resources. MFA adds extra security because it requires users to enter a unique authentication code from an approved authentication device when they access AWS websites or services. Learn about the IAM-enabled AWS Management Console sign-in page and how to sign in as an AWS account root user or as an IAM user. To help your users sign in easily, create a unique sign-in URL for your account. Learn how to enable and manage virtual MFA devices from the AWS Management Console. After you create IAM users and passwords for each, your users can sign in to the AWS Management Console using your account ID or alias, or from a special URL that includes your account ID. 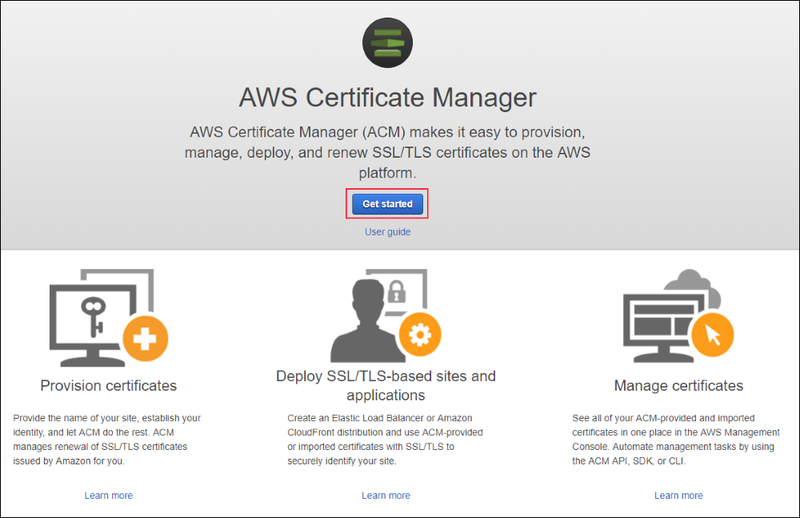 Some AWS services can use server certificates that you manage with IAM or AWS Certificate Manager (ACM). 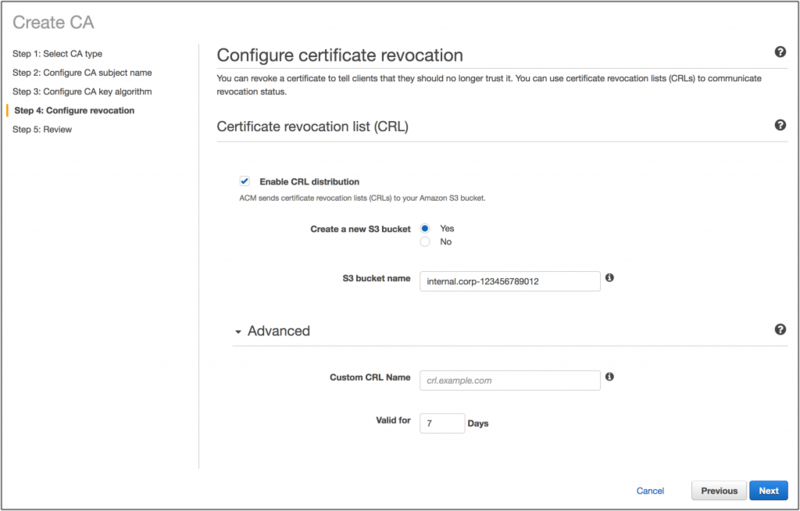 ACM is the preferred tool to provision, manage, and deploy your server certificates. Use IAM as a certificate manager only when you must support HTTPS connections in a region that is not supported by ACM. Learn how to find your AWS account ID and its alias. 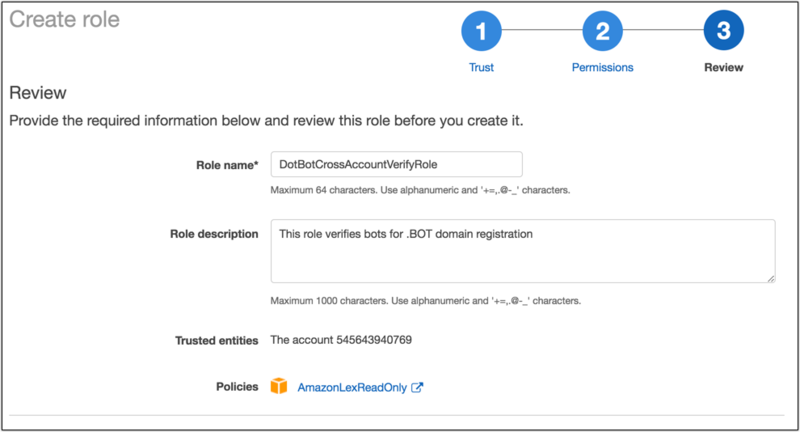 A role is an AWS identity with permission policies that determine what the identity can and cannot do in AWS using temporary security credentials that are created dynamically and provided to the user. A role is intended to be assumable by anyone who needs it using these temporary security credentials. Read an overview of policies, which are entities in AWS that, when attached to an identity or resource, define their permissions. Policies are stored in AWS as JSON documents attached to principals as identity-based policies or to resources as resource-based policies. 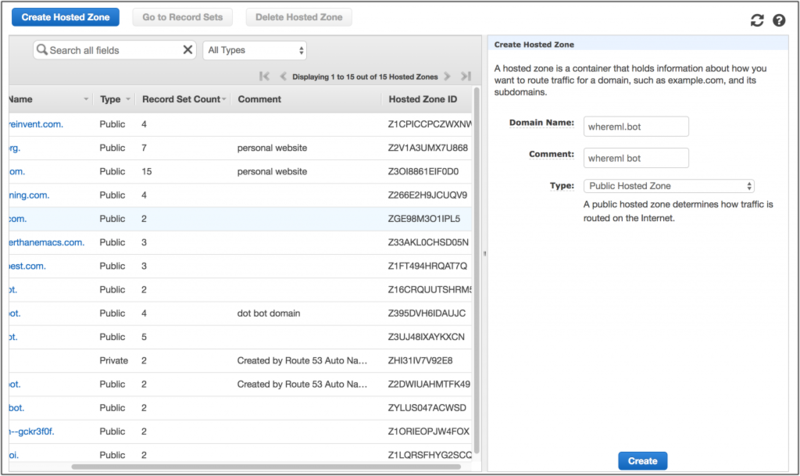 This collection of policies can help you define permissions for your IAM identities, such as granting access to a specific Amazon DynamoDB table or launching Amazon EC2 instances in a specific subnet. Learn how to use an IAM role to delegate access to resources that are in different AWS accounts that you own. 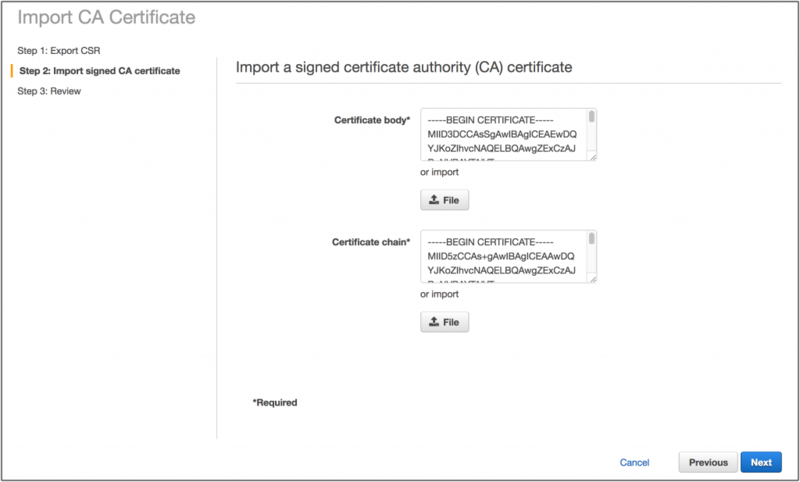 Use an IAM role to manage temporary credentials for applications that run on an EC2 instance. When you use a role, you do not have to distribute long-term credentials to an EC2 instance. Instead, the role supplies temporary permissions that applications can use when they make calls to other AWS resources. As a best practice, do not use the AWS account root user for any task where it’s not required. Instead, learn how to create an IAM administrator user and group for yourself. 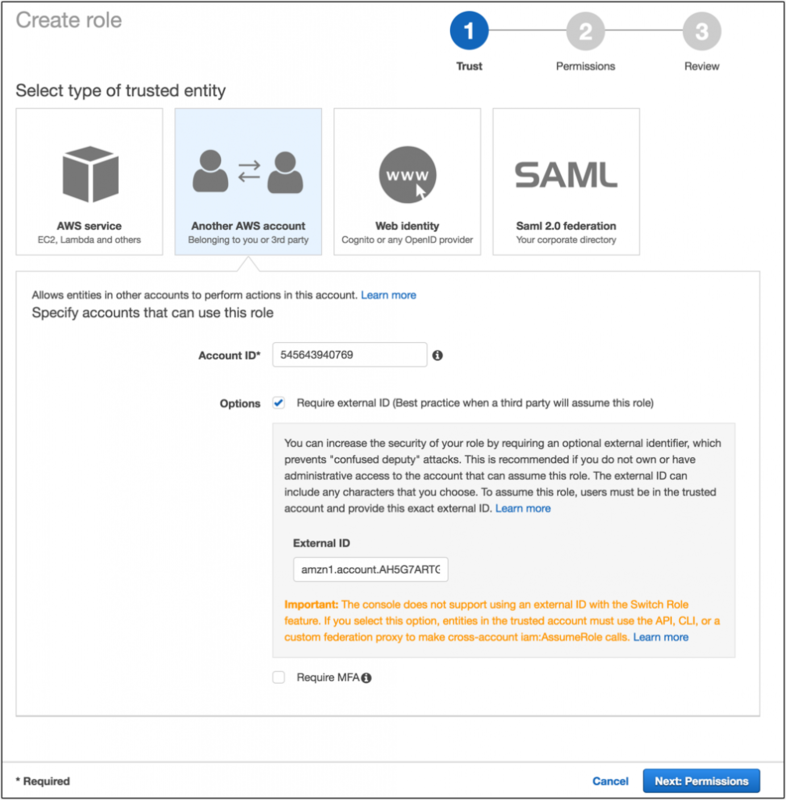 You can use the AWS Security Token Service (AWS STS) to create and provide trusted users with temporary security credentials that can control access to your AWS resources. Temporary security credentials work almost identically to the long-term access key credentials that your IAM users can use. When you first create an AWS account, you begin with a single sign-in identity that has complete access to all AWS services and resources in the account. 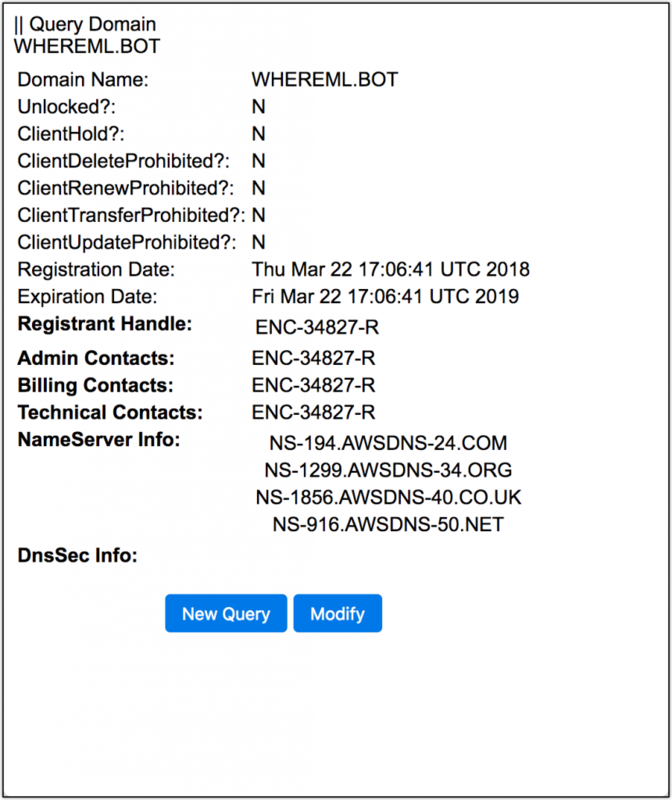 This identity is called the AWS account root user and is accessed by signing in with the email address and password that you used to create the account. To manage your root user, follow the steps on this page. In the “Comments” section below, let us know if you would like to see anything on these or other IAM documentation pages expanded or updated to make them more useful to you. The new EU (Paris) Region provides a broad suite of AWS services including Amazon API Gateway, Amazon Aurora, Amazon CloudFront, Amazon CloudWatch, CloudWatch Events, Amazon CloudWatch Logs, Amazon DynamoDB, Amazon Elastic Compute Cloud (EC2), EC2 Container Registry, Amazon ECS, Amazon Elastic Block Store (EBS), Amazon EMR, Amazon ElastiCache, Amazon Elasticsearch Service, Amazon Glacier, Amazon Kinesis Streams, Polly, Amazon Redshift, Amazon Relational Database Service (RDS), Amazon Route 53, Amazon Simple Notification Service (SNS), Amazon Simple Queue Service (SQS), Amazon Simple Storage Service (S3), Amazon Simple Workflow Service (SWF), Amazon Virtual Private Cloud, Auto Scaling, AWS Certificate Manager (ACM), AWS CloudFormation, AWS CloudTrail, AWS CodeDeploy, AWS Config, AWS Database Migration Service, AWS Direct Connect, AWS Elastic Beanstalk, AWS Identity and Access Management (IAM), AWS Key Management Service (KMS), AWS Lambda, AWS Marketplace, AWS OpsWorks Stacks, AWS Personal Health Dashboard, AWS Server Migration Service, AWS Service Catalog, AWS Shield Standard, AWS Snowball, AWS Snowball Edge, AWS Snowmobile, AWS Storage Gateway, AWS Support (including AWS Trusted Advisor), Elastic Load Balancing, and VM Import. The Paris Region supports all sizes of C5, M5, R4, T2, D2, I3, and X1 instances. There are also four edge locations for Amazon Route 53 and Amazon CloudFront: three in Paris and one in Marseille, all with AWS WAF and AWS Shield. 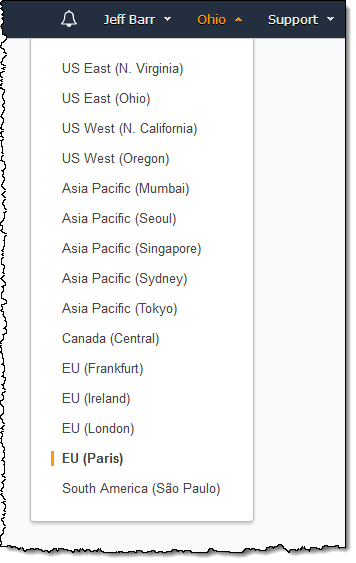 Check out the AWS Global Infrastructure page to learn more about current and future AWS Regions. 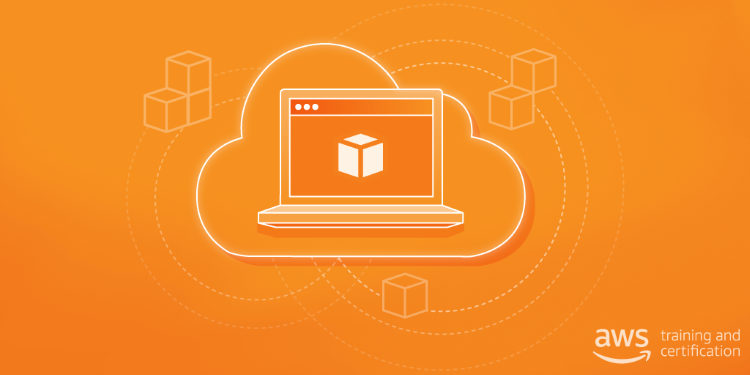 The Paris Region will benefit from three AWS Direct Connect locations. Telehouse Voltaire is available today. AWS Direct Connect will also become available at Equinix Paris in early 2018, followed by Interxion Paris. All AWS infrastructure regions around the world are designed, built, and regularly audited to meet the most rigorous compliance standards and to provide high levels of security for all AWS customers. These include ISO 27001, ISO 27017, ISO 27018, SOC 1 (Formerly SAS 70), SOC 2 and SOC 3 Security & Availability, PCI DSS Level 1, and many more. This means customers benefit from all the best practices of AWS policies, architecture, and operational processes built to satisfy the needs of even the most security sensitive customers. 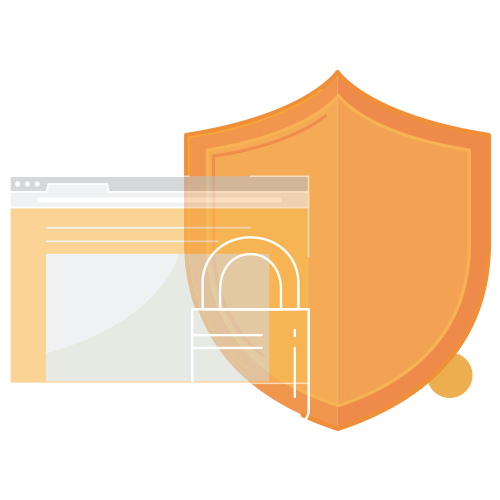 AWS is certified under the EU-US Privacy Shield, and the AWS Data Processing Addendum (DPA) is GDPR-ready and available now to all AWS customers to help them prepare for May 25, 2018 when the GDPR becomes enforceable. The current AWS DPA, as well as the AWS GDPR DPA, allows customers to transfer personal data to countries outside the European Economic Area (EEA) in compliance with European Union (EU) data protection laws. AWS also adheres to the Cloud Infrastructure Service Providers in Europe (CISPE) Code of Conduct. The CISPE Code of Conduct helps customers ensure that AWS is using appropriate data protection standards to protect their data, consistent with the GDPR. In addition, AWS offers a wide range of services and features to help customers meet the requirements of the GDPR, including services for access controls, monitoring, logging, and encryption. Societe Generale, one of the largest banks in France and the world, has accelerated their digital transformation while working with AWS. They developed SG Research, an application that makes reports from Societe Generale’s analysts available to corporate customers in order to improve the decision-making process for investments. The new AWS Region will reduce latency between applications running in the cloud and in their French data centers. SNCF is the national railway company of France. Their mobile app, powered by AWS, delivers real-time traffic information to 14 million riders. Extreme weather, traffic events, holidays, and engineering works can cause usage to peak at hundreds of thousands of users per second. They are planning to use machine learning and big data to add predictive features to the app. Radio France, the French public radio broadcaster, offers seven national networks, and uses AWS to accelerate its innovation and stay competitive. Les Restos du Coeur, a French charity that provides assistance to the needy, delivering food packages and participating in their social and economic integration back into French society. Les Restos du Coeur is using AWS for its CRM system to track the assistance given to each of their beneficiaries and the impact this is having on their lives. AlloResto by JustEat (a leader in the French FoodTech industry), is using AWS to to scale during traffic peaks and to accelerate their innovation process. AWS Premier Consulting Partners – Accenture, Capgemini, Claranet, CloudReach, DXC, and Edifixio. AWS Consulting Partners – ABC Systemes, Atos International SAS, CoreExpert, Cycloid, Devoteam, LINKBYNET, Oxalide, Ozones, Scaleo Information Systems, and Sopra Steria. AWS Technology Partners – Axway, Commerce Guys, MicroStrategy, Sage, Software AG, Splunk, Tibco, and Zerolight. We have been investing in Europe, with a focus on France, for the last 11 years. We have also been developing documentation and training programs to help our customers to improve their skills and to accelerate their journey to the AWS Cloud. As part of our commitment to AWS customers in France, we plan to train more than 25,000 people in the coming years, helping them develop highly sought after cloud skills. They will have access to AWS training resources in France via AWS Academy, AWSome days, AWS Educate, and webinars, all delivered in French by AWS Technical Trainers and AWS Certified Trainers. The EU (Paris) Region is open for business now and you can start using it today! Amazon CloudFront is a web service that speeds up distribution of your static and dynamic web content to end users through a worldwide network of edge locations. CloudFront provides a number of benefits and capabilities that can help you secure your applications and content while meeting compliance requirements. For example, you can configure CloudFront to help enforce secure, end-to-end connections using HTTPS SSL/TLS encryption. You also can take advantage of CloudFront integration with AWS Shield for DDoS protection and with AWS WAF (a web application firewall) for protection against application-layer attacks, such as SQL injection and cross-site scripting. Now, CloudFront field-level encryption helps secure sensitive data such as a customer phone numbers by adding another security layer to CloudFront HTTPS. Using this functionality, you can help ensure that sensitive information in a POST request is encrypted at CloudFront edge locations. This information remains encrypted as it flows to and beyond your origin servers that terminate HTTPS connections with CloudFront and throughout the application environment. In this blog post, we demonstrate how you can enhance the security of sensitive data by using CloudFront field-level encryption. Note: This post assumes that you understand concepts and services such as content delivery networks, HTTP forms, public-key cryptography, CloudFront, AWS Lambda, and the AWS CLI. If necessary, you should familiarize yourself with these concepts and review the solution overview in the next section before proceeding with the deployment of this post’s solution. Many web applications collect and store data from users as those users interact with the applications. For example, a travel-booking website may ask for your passport number and less sensitive data such as your food preferences. This data is transmitted to web servers and also might travel among a number of services to perform tasks. However, this also means that your sensitive information may need to be accessed by only a small subset of these services (most other services do not need to access your data). User data is often stored in a database for retrieval at a later time. One approach to protecting stored sensitive data is to configure and code each service to protect that sensitive data. For example, you can develop safeguards in logging functionality to ensure sensitive data is masked or removed. However, this can add complexity to your code base and limit performance. Field-level encryption addresses this problem by ensuring sensitive data is encrypted at CloudFront edge locations. Sensitive data fields in HTTPS form POSTs are automatically encrypted with a user-provided public RSA key. After the data is encrypted, other systems in your architecture see only ciphertext. If this ciphertext unintentionally becomes externally available, the data is cryptographically protected and only designated systems with access to the private RSA key can decrypt the sensitive data. It is critical to secure private RSA key material to prevent unauthorized access to the protected data. Management of cryptographic key material is a larger topic that is out of scope for this blog post, but should be carefully considered when implementing encryption in your applications. For example, in this blog post we store private key material as a secure string in the Amazon EC2 Systems Manager Parameter Store. The Parameter Store provides a centralized location for managing your configuration data such as plaintext data (such as database strings) or secrets (such as passwords) that are encrypted using AWS Key Management Service (AWS KMS). You may have an existing key management system in place that you can use, or you can use AWS CloudHSM. CloudHSM is a cloud-based hardware security module (HSM) that enables you to easily generate and use your own encryption keys in the AWS Cloud. To illustrate field-level encryption, let’s look at a simple form submission where Name and Phone values are sent to a web server using an HTTP POST. A typical form POST would contain data such as the following. Instead of taking this typical approach, field-level encryption converts this data similar to the following. 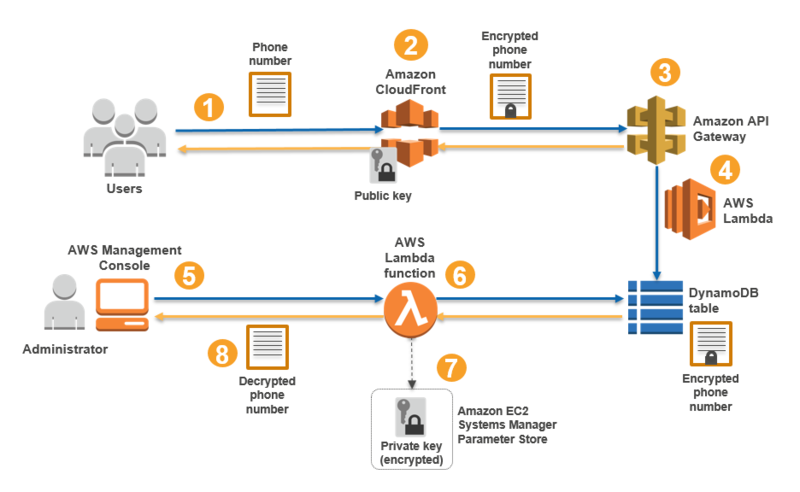 To further demonstrate field-level encryption in action, this blog post includes a sample serverless application that you can deploy by using a CloudFormation template, which creates an application environment using CloudFront, Amazon API Gateway, and Lambda. The sample application is only intended to demonstrate field-level encryption functionality and is not intended for production use. The following diagram depicts the architecture and data flow of this sample application. An application user submits an HTML form page with sensitive data, generating an HTTPS POST to CloudFront. Field-level encryption intercepts the form POST and encrypts sensitive data with the public RSA key and replaces fields in the form post with encrypted ciphertext. The form POST ciphertext is then sent to origin servers. The serverless application accepts the form post data containing ciphertext where sensitive data would normally be. If a malicious user were able to compromise your application and gain access to your data, such as the contents of a form, that user would see encrypted data. Lambda stores data in a DynamoDB table, leaving sensitive data to remain safely encrypted at rest. An administrator uses the AWS Management Console and a Lambda function to view the sensitive data. During the session, the administrator retrieves ciphertext from the DynamoDB table. The administrator decrypts sensitive data by using private key material stored in the EC2 Systems Manager Parameter Store. Decrypted sensitive data is transmitted over SSL/TLS via the AWS Management Console to the administrator for review. When deployment packages are used with Lambda, the zipped artifacts have to be placed in an S3 bucket in the target AWS Region for deployment. This step is not required if you are deploying in the US East (N. Virginia) Region because the package has already been staged there. Create a public/private key pair that will be used to perform the encrypt/decrypt functionality. After you create the key pair, the public key is uploaded to CloudFront so that it can be used by field-level encryption. 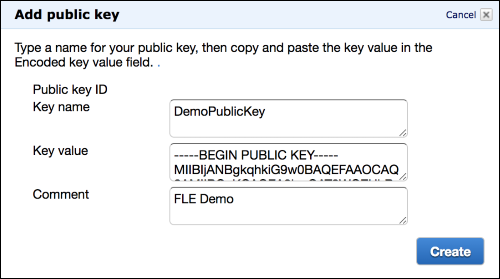 Deploy the sample application for demonstrating field-level encryption by using AWS CloudFormation. After you have provisioned the application, this step associates the field-level encryption configuration with the CloudFront distribution. Store the private key in the Parameter Store as a SecureString data type, which uses AWS KMS to encrypt the parameter value. Stage the Lambda function deployment package in an Amazon S3 bucket located in the AWS Region you are using for this solution. To do this, download the zipped deployment package and upload it to your in-region bucket. For additional information about uploading objects to S3, see Uploading Object into Amazon S3. You should see version information similar to the following. Create a private key using the following command. The command results should look similar to the following. Extract the public key from the private key by running the following command. Restrict access to the private key.$ chmod 600 private_key.pem Note: You will use the public and private key material in Steps 3 and 6 to configure the sample application. 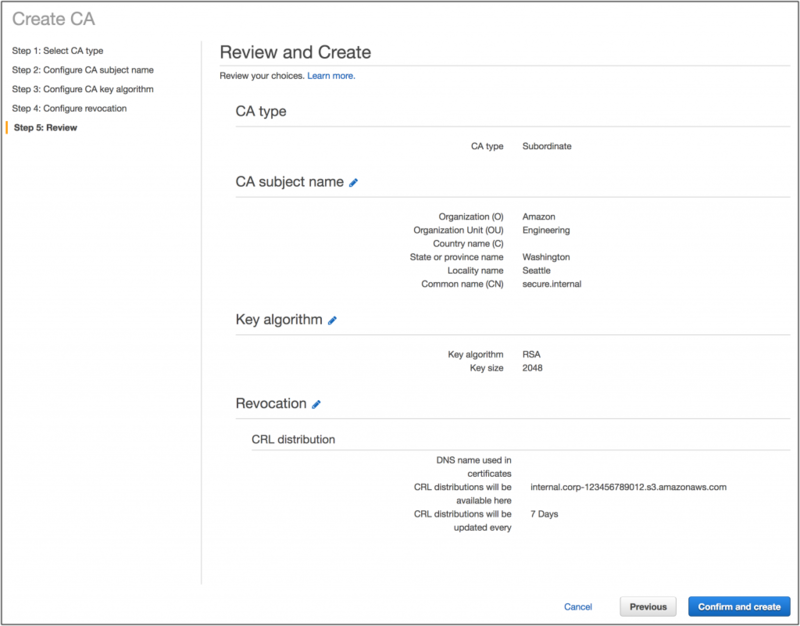 Now that you have created the RSA key pair, you will use the AWS Management Console to upload the public key to CloudFront for use by field-level encryption. Complete the following steps to upload and configure the public key. Note: Do not include spaces or special characters when providing the configuration values in this section. From the AWS Management Console, choose Services > CloudFront. In the navigation pane, choose Public Key and choose Add Public Key. Key Name: Type a name such as DemoPublicKey. Encoded Key: Paste the contents of the public_key.pem file you created in Step 2c. Copy and paste the encoded key value for your public key, including the -----BEGIN PUBLIC KEY----- and -----END PUBLIC KEY----- lines. Comment: Optionally add a comment. After adding at least one public key to CloudFront, the next step is to create a profile to tell CloudFront which fields of input you want to be encrypted. While still on the CloudFront console, choose Field-level encryption in the navigation pane. Under Profiles, choose Create profile. Name: Type a name such as FLEDemo. Public key: Select the public key you configured in Step 4.b. Provider name: Type a provider name such as FLEDemo. This information will be used when the form data is encrypted, and must be provided to applications that need to decrypt the data, along with the appropriate private key. Pattern to match: Type phone. This configures field-level encryption to match based on the phone. Configurations include options for whether to block or forward a query to your origin in scenarios where CloudFront can’t encrypt the data. Under Encryption Configurations, choose Create configuration. Content type: Enter application/x-www-form-urlencoded. This is a common media type for encoding form data. Default profile ID: Select the profile you added in Step 3e. Launch the sample application by using a CloudFormation template that automates the provisioning process. PublicKeyName Enter the Key Name you assigned in Step 3b. This name is assigned to the public key in field-level encryption configuration in CloudFront (letters and numbers only, no special characters). ArtifactsBucket The S3 bucket with artifact files (staged zip file with app code). Leave as default if deploying in us-east-1. ArtifactsPrefix The path in the S3 bucket containing artifact files. Leave as default if deploying in us-east-1. Choose Next on the Select Template page, enter the input parameters and choose Next. Note: The Artifacts configuration needs to be updated only if you are deploying outside of us-east-1 (US East [N. Virginia]). See Step 1 for artifact staging instructions. In the Outputs section of the FLE-Sample-App stack, look for CloudFrontDistribution and click the URL to open the CloudFront console. Choose Behaviors, choose the Default (*) behavior, and then choose Edit. For Field-level Encryption Config, choose the configuration you created in Step 3g. While still in the CloudFront distribution configuration, choose the General Choose Edit, scroll down to Distribution State, and change it to Enabled. In this step, you store the private key in the EC2 Systems Manager Parameter Store as a SecureString data type, which uses AWS KMS to encrypt the parameter value. 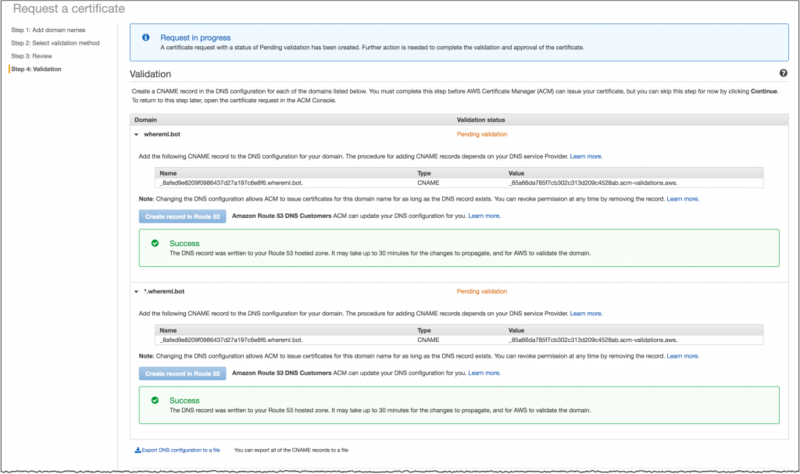 For more information about AWS KMS, see the AWS Key Management Service Developer Guide. You will need a working installation of the AWS CLI to complete this step. Store the private key in the Parameter Store with the AWS CLI by running the following command. You will find the <KMSKeyID> in the KMSKeyID in the CloudFormation stack Outputs. Substitute it for the placeholder in the following command. $ aws ssm put-parameter --type "SecureString" --name /cloudfront/field-encryption-sample/private-key --value file://private_key.pem --key-id "<KMSKeyID>"
Verify the parameter. Your private key material should be accessible through the ssm get-parameter in the following command in the Value The key material has been truncated in the following output. Notice we use the —with decryption argument in this command. This returns the private key as cleartext. This completes the sample application deployment. Next, we show you how to see field-level encryption in action. Delete the private key from local storage. On Linux for example, using the shred command, securely delete the private key material from your workstation as shown below. You may also wish to store the private key material within an AWS CloudHSM or other protected location suitable for your security requirements. For production implementations, you also should implement key rotation policies. Open sample application in your web browser by clicking the ApplicationURL link in the CloudFormation stack Outputs. (for example, https:d199xe5izz82ea.cloudfront.net/prod/). Note that it may take several minutes for the CloudFront distribution to reach the Deployed Status from the previous step, during which time you may not be able to access the sample application. Complete the three form fields: Full Name, Email Address, and Phone Number. Notice that the application response includes the form values. The phone number returns the following ciphertext encryption using your public key. This ciphertext has been stored in DynamoDB. In the CloudFormation stack Outputs, locate DecryptFunction and click the URL to open the Lambda console. Configure a test event using the “Hello World” template. View the encrypted and decrypted phone number data. 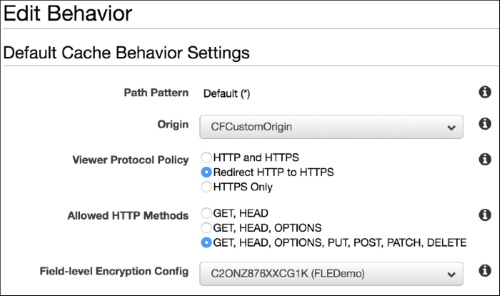 In this blog post, we showed you how to use CloudFront field-level encryption to encrypt sensitive data at edge locations and help prevent access from unauthorized systems. The source code for this solution is available on GitHub. For additional information about field-level encryption, see the documentation. If you have comments about this post, submit them in the “Comments” section below. If you have questions about or issues implementing this solution, please start a new thread on the CloudFront forum. Let’s Encrypt had a great year in 2017. We more than doubled the number of active (unexpired) certificates we service to 46 million, we just about tripled the number of unique domains we service to 61 million, and we did it all while maintaining a stellar security and compliance track record. Most importantly though, the Web went from 46% encrypted page loads to 67% according to statistics from Mozilla – a gain of 21% in a single year – incredible. We’re proud to have contributed to that, and we’d like to thank all of the other people and organizations who also worked hard to create a more secure and privacy-respecting Web. While we’re proud of what we accomplished in 2017, we are spending most of the final quarter of the year looking forward rather than back. As we wrap up our own planning process for 2018, I’d like to share some of our plans with you, including both the things we’re excited about and the challenges we’ll face. We’ll cover service growth, new features, infrastructure, and finances. We are planning to double the number of active certificates and unique domains we service in 2018, to 90 million and 120 million, respectively. This anticipated growth is due to continuing high expectations for HTTPS growth in general in 2018. Let’s Encrypt helps to drive HTTPS adoption by offering a free, easy to use, and globally available option for obtaining the certificates required to enable HTTPS. HTTPS adoption on the Web took off at an unprecedented rate from the day Let’s Encrypt launched to the public. One of the reasons Let’s Encrypt is so easy to use is that our community has done great work making client software that works well for a wide variety of platforms. We’d like to thank everyone involved in the development of over 60 client software options for Let’s Encrypt. We’re particularly excited that support for the ACME protocol and Let’s Encrypt is being added to the Apache httpd server. Other organizations and communities are also doing great work to promote HTTPS adoption, and thus stimulate demand for our services. For example, browsers are starting to make their users more aware of the risks associated with unencrypted HTTP (e.g. Firefox, Chrome). Many hosting providers and CDNs are making it easier than ever for all of their customers to use HTTPS. Government agencies are waking up to the need for stronger security to protect constituents. The media community is working to Secure the News. We’ve got some exciting features planned for 2018. First, we’re planning to introduce an ACME v2 protocol API endpoint and support for wildcard certificates along with it. Wildcard certificates will be free and available globally just like our other certificates. We are planning to have a public test API endpoint up by January 4, and we’ve set a date for the full launch: Tuesday, February 27. 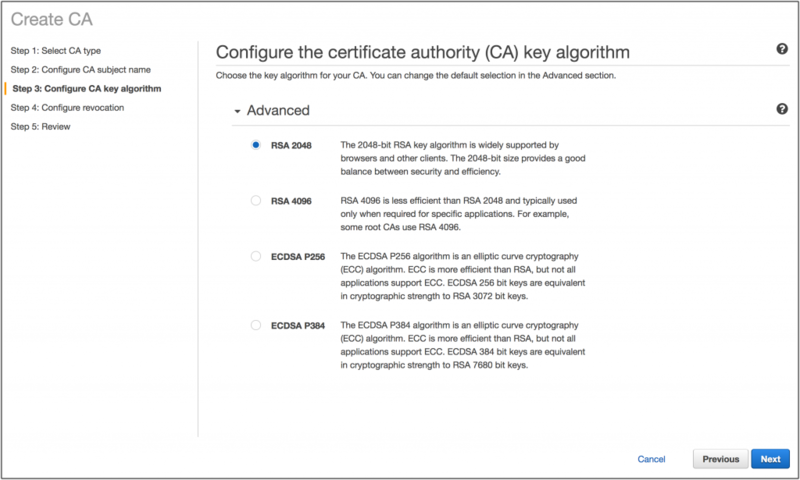 Later in 2018 we plan to introduce ECDSA root and intermediate certificates. ECDSA is generally considered to be the future of digital signature algorithms on the Web due to the fact that it is more efficient than RSA. Let’s Encrypt will currently sign ECDSA keys from subscribers, but we sign with the RSA key from one of our intermediate certificates. Once we have an ECDSA root and intermediates, our subscribers will be able to deploy certificate chains which are entirely ECDSA. Our CA infrastructure is capable of issuing millions of certificates per day with multiple redundancy for stability and a wide variety of security safeguards, both physical and logical. Our infrastructure also generates and signs nearly 20 million OCSP responses daily, and serves those responses nearly 2 billion times per day. We expect issuance and OCSP numbers to double in 2018. Our physical CA infrastructure currently occupies approximately 70 units of rack space, split between two datacenters, consisting primarily of compute servers, storage, HSMs, switches, and firewalls. When we issue more certificates it puts the most stress on storage for our databases. We regularly invest in more and faster storage for our database servers, and that will continue in 2018. We’ll need to add a few additional compute servers in 2018, and we’ll also start aging out hardware in 2018 for the first time since we launched. We’ll age out about ten 2u compute servers and replace them with new 1u servers, which will save space and be more energy efficient while providing better reliability and performance. We’ll also add another infrastructure operations staff member, bringing that team to a total of six people. This is necessary in order to make sure we can keep up with demand while maintaining a high standard for security and compliance. Infrastructure operations staff are systems administrators responsible for building and maintaining all physical and logical CA infrastructure. The team also manages a 24/7/365 on-call schedule and they are primary participants in both security and compliance audits. We pride ourselves on being an efficient organization. In 2018 Let’s Encrypt will secure a large portion of the Web with a budget of only $3.0M. For an overall increase in our budget of only 13%, we will be able to issue and service twice as many certificates as we did in 2017. We believe this represents an incredible value and that contributing to Let’s Encrypt is one of the most effective ways to help create a more secure and privacy-respecting Web. Our 2018 fundraising efforts are off to a strong start with Platinum sponsorships from Mozilla, Akamai, OVH, Cisco, Google Chrome and the Electronic Frontier Foundation. The Ford Foundation has renewed their grant to Let’s Encrypt as well. We are seeking additional sponsorship and grant assistance to meet our full needs for 2018. We had originally budgeted $2.91M for 2017 but we’ll likely come in under budget for the year at around $2.65M. The difference between our 2017 expenses of $2.65M and the 2018 budget of $3.0M consists primarily of the additional infrastructure operations costs previously mentioned. We depend on contributions from our community of users and supporters in order to provide our services. If your company or organization would like to sponsor Let’s Encrypt please email us at [email protected]. We ask that you make an individual contribution if it is within your means. We’re grateful for the industry and community support that we receive, and we look forward to continuing to create a more secure and privacy-respecting Web! 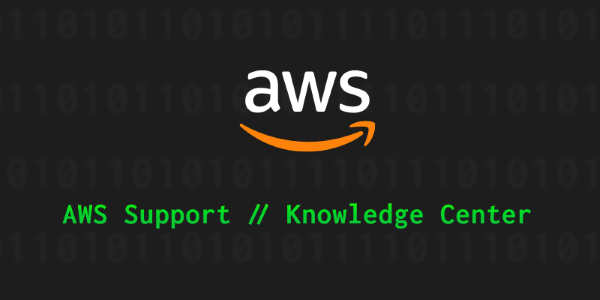 The AWS Knowledge Center helps answer the questions most frequently asked by AWS Support customers. The following 10 Knowledge Center security articles and videos have been the most viewed this month. It’s likely you’ve wondered about a few of these topics yourself, so here’s a chance to learn the answers! How do I create an AWS Identity and Access Management (IAM) policy to restrict access for an IAM user, group, or role to a particular Amazon Virtual Private Cloud (VPC)? 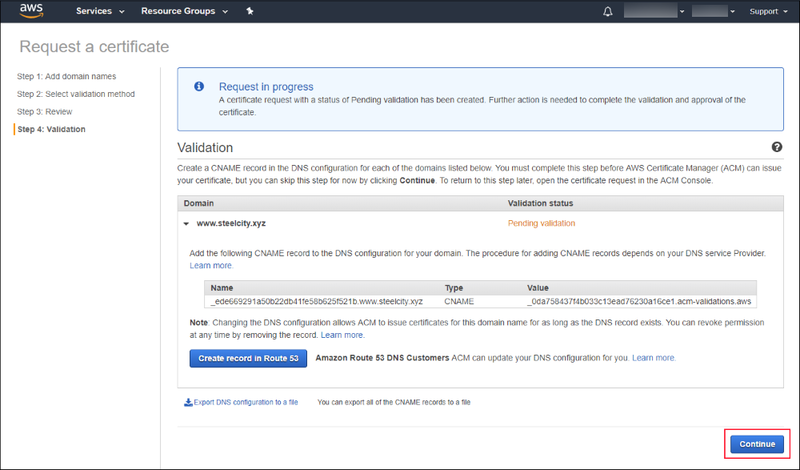 Learn how to apply a custom IAM policy to restrict IAM user, group, or role permissions for creating and managing Amazon EC2 instances in a specified VPC. One IAM best practice is to protect your account and its resources by using a multi-factor authentication (MFA) device. If you plan use the AWS Command Line Interface (CLI) while using an MFA device, you must create a temporary session token. Can I restrict an IAM user’s EC2 access to specific resources? This article demonstrates how to link multiple AWS accounts through AWS Organizations and isolate IAM user groups in their own accounts. 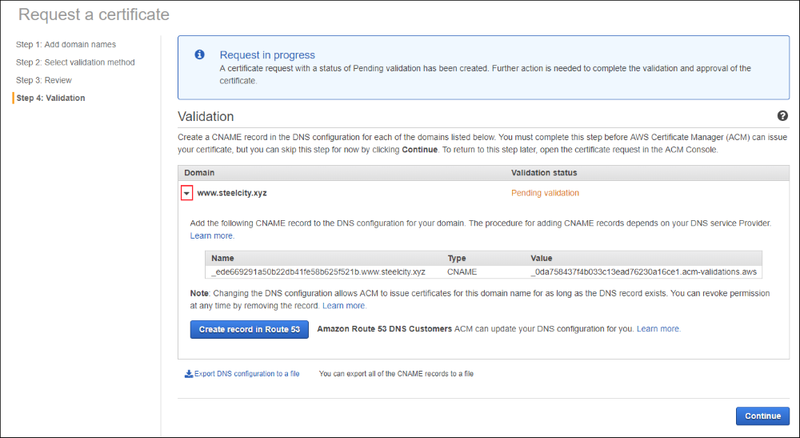 I didn’t receive a validation email for the SSL certificate I requested through AWS Certificate Manager (ACM)—where is it? Can’t find your ACM validation emails? Be sure to check the email address to which you requested that ACM send validation emails. How do I create an IAM policy that has a source IP restriction but still allows users to switch roles in the AWS Management Console? Learn how to write an IAM policy that not only includes a source IP restriction but also lets your users switch roles in the console. How do I allow users from another account to access resources in my account through IAM? If you have the 12-digit account number and permissions to create and edit IAM roles and users for both accounts, you can permit specific IAM users to access resources in your account. What are the differences between a service control policy (SCP) and an IAM policy? Learn how to distinguish an SCP from an IAM policy. How do I share my customer master keys (CMKs) across multiple AWS accounts? To grant another account access to your CMKs, create an IAM policy on the secondary account that grants access to use your CMKs. 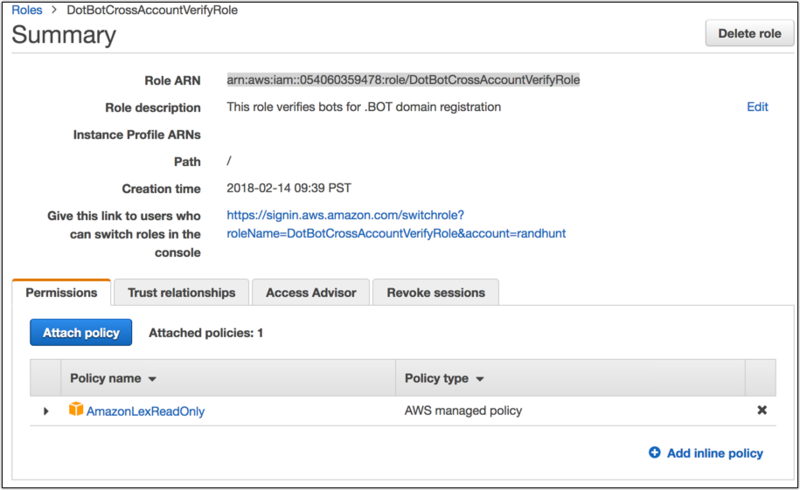 How do I set up AWS Trusted Advisor notifications? Learn how to receive free weekly email notifications from Trusted Advisor. 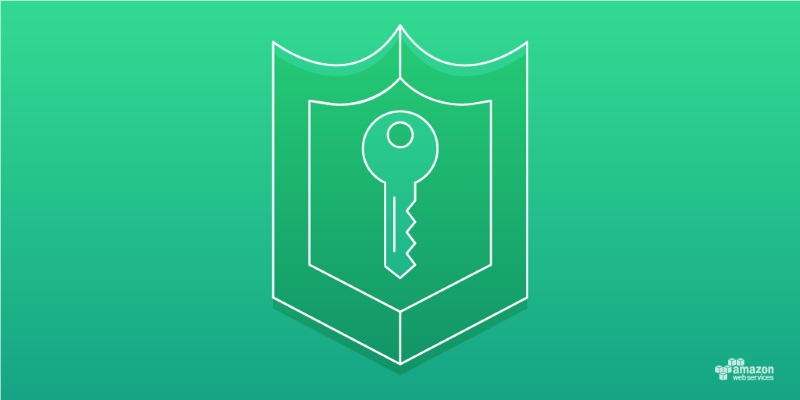 How do I use AWS Key Management Service (AWS KMS) encryption context to protect the integrity of encrypted data? Encryption context name-value pairs used with AWS KMS encryption and decryption operations provide a method for checking ciphertext authenticity. Learn how to use encryption context to help protect your encrypted data. The AWS Security Blog will publish an updated version of this list regularly going forward. You also can subscribe to the AWS Knowledge Center Videos playlist on YouTube.